This lesson will show you how to import images that you already have saved on your hard drive into a step. 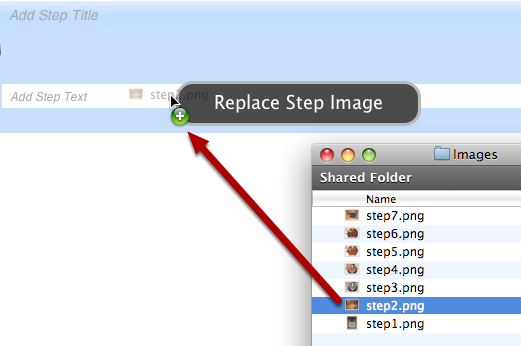 You can drag and drop files from your file system onto a step in ScreenSteps. 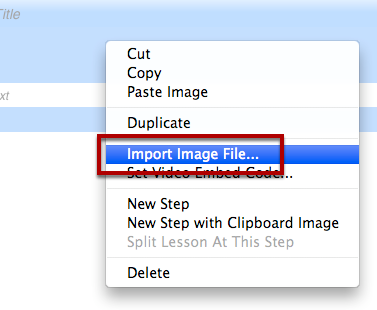 When you drag an image over the step title, instructions or existing image a prompt will appear telling you that the image will be attached to the step. 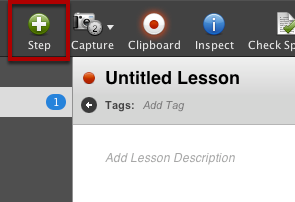 You can also add an image to a step using the Lesson menu or the step contextual menu. Begin by creating a new step by clicking on the Step button. Select Lesson > Step Image > Import Image File. Select your image from the file browser and it will be imported into your step. 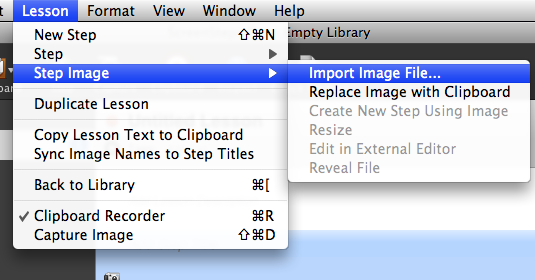 Or you can right-click on the step and select Import Image File... from the contextual menu. Can you insert a screen shot into step text? Sometimes I like to shoot a command button and have it appear in line with the text when I refer to it. @Val - no, you cannot insert images into the text at this time.